Home Hunting So You Think You’re a Good Turkey Hunter? 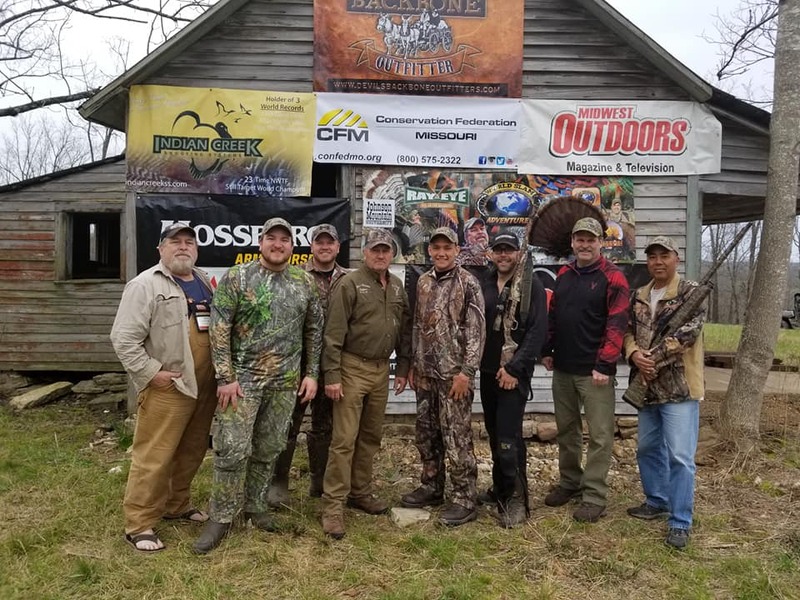 During the first week of Missouri’s spring turkey season, Ray Eye hosted his annual Ozarks Media Camp at Devil’s Backbone Outfitters. Along with eight other writers and media personnel, I was lucky enough to be invited to try my hand at killing an Ozarks ghost. And let me tell you, these turkeys straight up whooped our butts. Two gobblers sounded off on the adjacent hillside. We started after them, racing up and down the steep ridge, over rocky outcroppings and downed timber. A mile and a half later, it was all for naught. They moved on before we arrived. So the rest of the morning went, hearing a gobble and attempting to close the distance. Over seven miles later, with blisters, tired muscles, and no turkey, I realized I was not in Kansas anymore. Hunting the turkeys of the Missouri Ozarks will test every ounce of your mental and physical toughness as a hunter. It is not for the faint of heart. “I don’t mind moving on ’em when I can hear ’em,” Chance Hollingshad said, who along with his father, Joe, operates Devil’s Backbone Outfitters in Drury, Missouri. “I didn’t know we were running the Boston Marathon,” I quipped. “Devil’s Backbone Marathon,” Chance retorted. 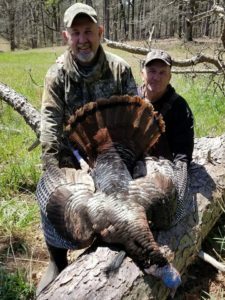 Sprawling 1,600 acres over mountainous terrain, fields, and beautiful Ozark scenery, it is truly the place to be if you want to go after the original turkeys of Missouri. Interestingly, when turkey populations dipped to dangerously low numbers decades ago, the birds in the Ozarks were used in the restoration across Missouri, as well as nearby states. Those turkeys have been there for a long time, and my how they have adapted. Roosting habits, strutting zones, and responses to calls and decoys are completely different than other turkeys I have hunted. They are smart, savvy, and seemingly have a set plan of what they are going to do throughout the day. Any deviation from their plan, or where they want to be, results in failure. The turkeys were there, and active, but not easy to kill. Toms would gobble at our calls, but they did not come into gun range, save one that couldn’t sneak by Bill Cooper of Outside Again Adventures T.V. Chance Hollingshad tries to strike a bird up. Over three days of hunting, I never saw a gobbler. I heard plenty, but because of the terrain and their wary, unwillingness to commit to calls, I never laid eyes on one. I saw one hen on the last day. I threw everything I had at these turkeys, totaling close to 16 miles of walking, but they did not budge. On the last day, I was able to hunt with Joe Hollingshad during a cold rain. I was taken to the woodshed by the turkeys in Missouri’s Ozarks. And I wasn’t alone. All of us were beaten–and hard. But you know what? I am 100% happy about it. Enduring (and yes, enduring is the best word) hunts like these make you a better woodsman and hunter. 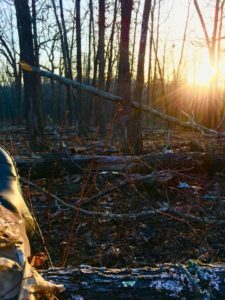 Realizing you are not, in fact, as good as you think you are at turkey hunting, is humbling, but it allows you to adjust and learn. I now have an idea of the tactics and commitment needed to successfully go after an Ozarks longbeard. I can only hope it is sooner rather than later. I want my chance at redemption. The fellowship, camaraderie, and tons of laughs made this camp one of the best turkey hunts I have ever been on. It was such a great experience. Hunting at Devil’s Backbone Outfitters is an amazing time. The management, care, and time they put into making your hunt incredible is second-to-none. Hunts like these make you realize harvesting a bird is just a bonus. The sun rises above one of the steep ridges at Devil’s Backbone Outfitters. So, I ask you–do you think you are a good turkey hunter? Go to the Ozarks, and Devil’s Backbone Outfitters, and test your mettle. If you can take a big, old gobbler on the Hollingshad’s place, then you can call yourself a good turkey hunter. 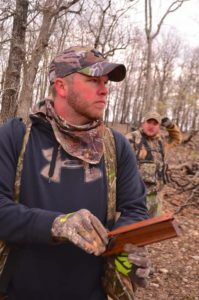 To book your hunt with Devil’s Backbone Outfitters, give Joe or Chance a call at 417-261-2606, or visit their website http://www.devilsbackboneoutfitters.com/home/. Devil's Backbone Outfitters, Mahoney Outdoors, Missouri, Missouri Ozarks, Ozarks Media Camp, Ray Eye, Ryan Miloshewski, Turkey, Turkey Hunting, Turkey Season. Bookmark.